A Maryland Circuit Court judge has ruled that the Maryland Board of Physicians, which stripped Dr. Mark Geier of his license to practice medicine back in 2011, acted illegally by humiliating Dr. Geier and his family publicly after they removed his medical license. In what is seen as an unprecedented action, Judge Ronald Rubin has ordered not only that $2.5 million in damages be awarded to the Geiers, but that half of that amount was to come out of the pockets of the members of the Maryland Board of Physicians, between $10,000 and $200,000 apiece, depending on their net worth. 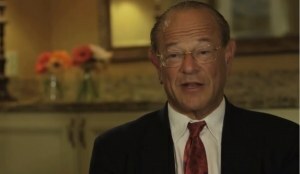 Dr. Geier was targeted by the Maryland Board of Physicians because he did not toe the party line regarding vaccines, but saw a link between some vaccines and autism, and developed medical protocols to heal children of autism that were not approved by the medical system, while at the same time fighting to make vaccines safer. The case of Dr. Mark Geier is yet another example of how honest physicians who dare to question vaccines, even when they themselves are pro-vaccine and just want an honest discussion about the efficacy and safety of vaccines, are quickly attacked and branded "anti-science" and a "quack."